This Spring the boys have begun to play lacrosse. When we lived in California, this wasn’t a sport anyone knew much about and when we lived in Astoria, NY, we never came across anyone playing—though had we wanted to look perhaps we might have found a team. 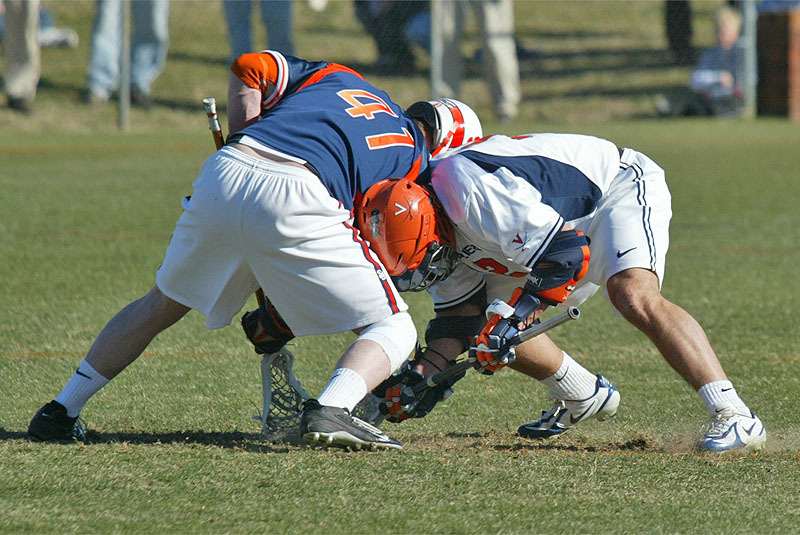 For those of you unfamiliar with lacrosse, it’s a sport whose growth is on the rise—one of few in youth sports according to the Wall Street Journal. It’s been an interesting process. The Professor and Alpha Tween are both first timers, and both have enjoyed it, though AT has had a rougher time adjusting. While he’s a solid athlete, he’s not the type of kid who instantly grabs all the nuances of a new sport and given he’s going through regular growth spurts, his hand-eye coordination is sometimes not so coordinated. Still he’s doing well. His team is split into two squads—“A” and “B”—depending on overall ability. Most of the first time players (and there are a bunch) are on the “B” team though there is some cross-pollination between the two squads. I find that brilliant because the newer kids get a much more thorough and hands on learning experience. If it was all one mass of kids, the better kids would get more of the practice time and coach’s attention. This way, the kids who need basic instruction get it, while the kids learning the finer points and nuances get that. Recently, the coaches asked if any of the kids wanted to move to goalie. The team, as a whole, only has one goaltender but as incredible as he is—and he’s phenomenal—it’s a rough gig to do for two squads, especially when one isn’t very good defensively yet because they’re just learning to play. So they needed a second goalie, partly because the “B” team should have their own guy, partly because our main goalie needs some breaks and partly because we need a backup in case—God forbid—our main goalie got hurt. Enter Alpha Tween. He had been playing “attack” which is a forward position but since the team wasn’t very good, much of his time was spent standing around. He’s played goaltender in soccer, so he has the basics down. And since he wasn’t doing anything on offense, he figured—not wrongly—that he was guaranteed action while in goal. 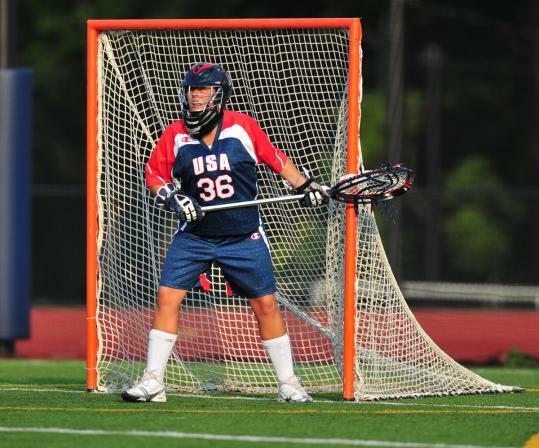 Goaltending in lacrosse can be a thankless, tough job. Shots can come from anywhere, you wear less equipment than other players, so you have more exposed skin for bruising and it’s a very small ball. Alpha Tween got thrown into a game a couple of weeks ago and did very well. His teammates all congratulated him and jumped on him in celebration, as you’d expect. It was a nice moment—but not as nice as last night’s. Last night, AT was merely a backup. He wasn’t expected to see any time in the game, even though there was a mix-up and the other team didn’t bring all their “A” guys. However in the fourth quarter, he replaced the main goalie. Unfortunately for him, the “A” team defense was pulled as well. So the other team—which had seen very few scoring opportunities before the fourth—got to take some great shots on my boy. He let in three goals and was clearly frustrated by the end. And then something happened which just reinforced my perception that we made the right decision in moving the family here. We’ve been terribly lucky (for the most part) since coming to the East coast, in that pretty much all the sports teams we’ve been involved in have been filled with awesome people. Gymnastics aside, we’ve been super-happy with it. his team would be. They’ve loved him, but the reaction to a poor performance versus a good one can be very different. The first team offense ran onto the field and jumped on AT in celebration. I was so pleased to see that. I know that, at his age, Alpha needs confidence boosts. I know he was frustrated—maybe even angry—with his performance. And I know he was still annoyed, but instead of being sullen (which we’re used to these days), he was happy. Don’t get me wrong—it’s not like he was all “HEY I LET IN THREE GOALS WHEEEEE” or anything. But instead of dragging his feet and being pissed off, he was smiling, talking about what he needed to do better and being confident that he could. Being a team means a lot of things, but what gets lost more often than not is the reality that being a true team is about more than just being in the same space with people, wearing the same jersey colors or playing next to each other. It’s about supporting each other even when things aren’t great. It’s about picking up someone when they are a little down because they didn’t do as well as they wanted to. And yeah the team won, so it’s easier to be supportive. Still, it wouldn’t have been a shock if nobody did anything. If they just celebrated the win and didn’t reach out to AT. It’s not like you’d think twice about it. But they went out of their way to celebrate his efforts. That’s the sort of thing which really is what being on a team about.